Arrange fruit into 6-8 individual cups or bowls. Add the ricotta cheese, mint, orange juice and zest to a mixing bowl. Stir to combine. Spoon 2 Tbsp. 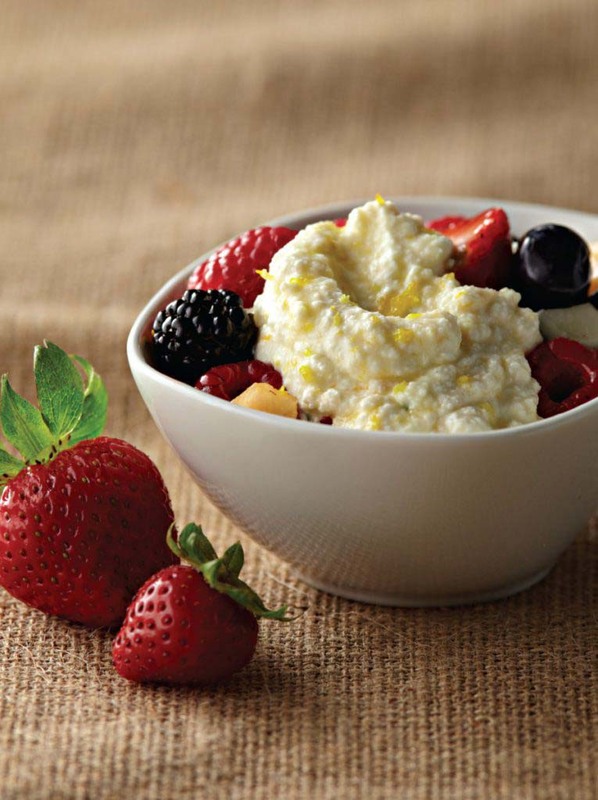 of ricotta into the center of each cup or bowl of fruit. Finish with a drizzle of honey. This recipe works well with any fruit that’s in season. If you prefer, you can also serve this dish family style in a large bowl. To make it even more decadent, serve over sponge cake.